ITU-TRNC Education Research Campuses and Famagusta Municipality have signed an agreement protocol. The protocol was signed by ITU-TRNC Rector Prof. Dr. Ercan KAHYA and Famagusta Mayor, İsmail ARTER at Famagusta Municipality on April 30, 2018. The protocol between ITU –TRNC and Famagusta Municipality aims to foster cooperation in educational, scientific and administrative fields as well as in areas concerning the municipality and its personnel, and plans to increase social awareness, to organize common projects, meetings and events for the benefit of the society. 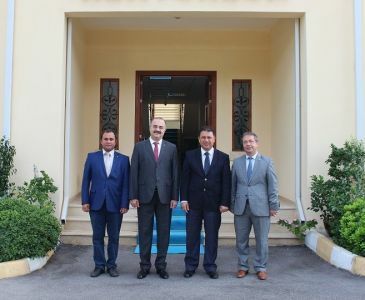 The Protocol also includes building a strong tie between ITU-TRNC and the Municipality towards ralizing joint socio-cultural, scientific and technologic projects and activities. In his speech, Famagusta Mayor İsmail ARTER said that ITU has been a prominent university both in motherland Turkey and in our country and has had significant impact on our lives. He also emphasized how valuable and meaningful it is to have ITU’s campus in Famagusta. Mayor ARTER also said that the next protocol with ITU-TRNC will even be more detailed and that they will be ready to honor it. ARTER wished luck to university, Famagusta and municipality for the protocol and thanked the Rector, instructors and municipality personnel for their contributions. 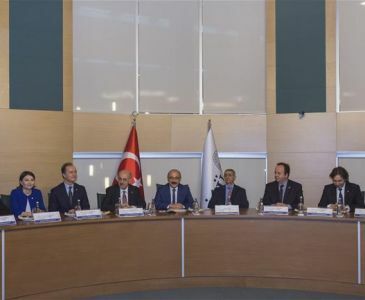 ITU-TRNC Education Research Campuses Rector Prof. Dr. Ercan KAHYA thanked Mayor İsmail ARTER, and said that Famagusta Municipality has particularly been important for ITU-TRNC due to its location in Famagusta region. KAHYA also mentioned that they have had a good relationship with İsmail ARTER since he became the Mayor. The Rector explained ITU’s mission to be increasing life standards and serving community, state and humanity with its deep-rooted research and education spread over three decades and added that it is their duty to realize this first in Famagusta.